Awarded by the Royal Horticultural Society in 1916. 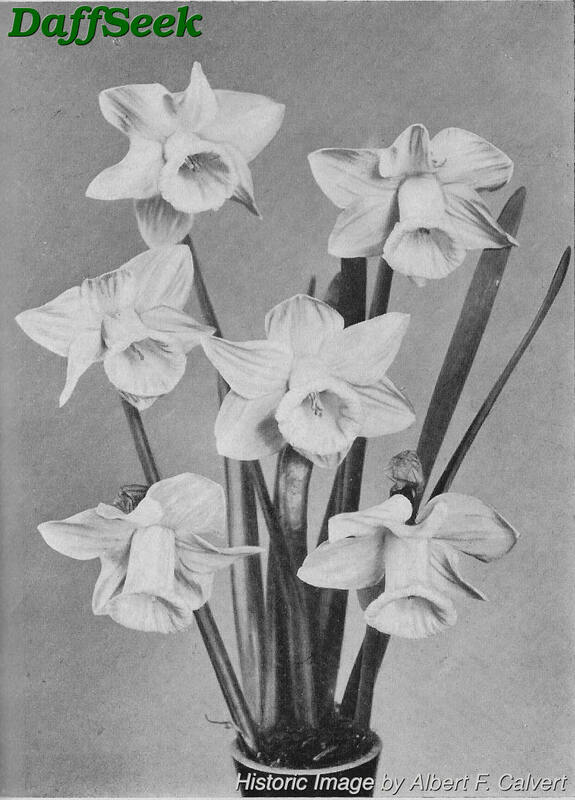 AM(e) 1916; This plant earned the Award of Merit (AM). Fl. opening soft sulfur yellow, becoming creamy white, facing down; corona cylindrical, slender.